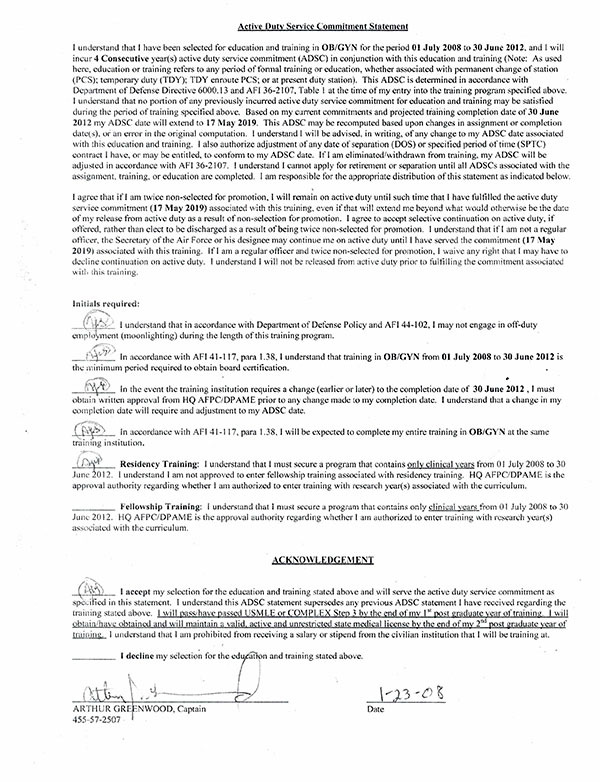 USAF Maj. Arthur John Greenwood showed utter contempt for this contract he signed (below) which on page 2 strictly forbids moonlighting. USAF Maj. Arthur John Greenwood was moonlighting just days after he signed this contract with the USAF (which forbid moonlighting). 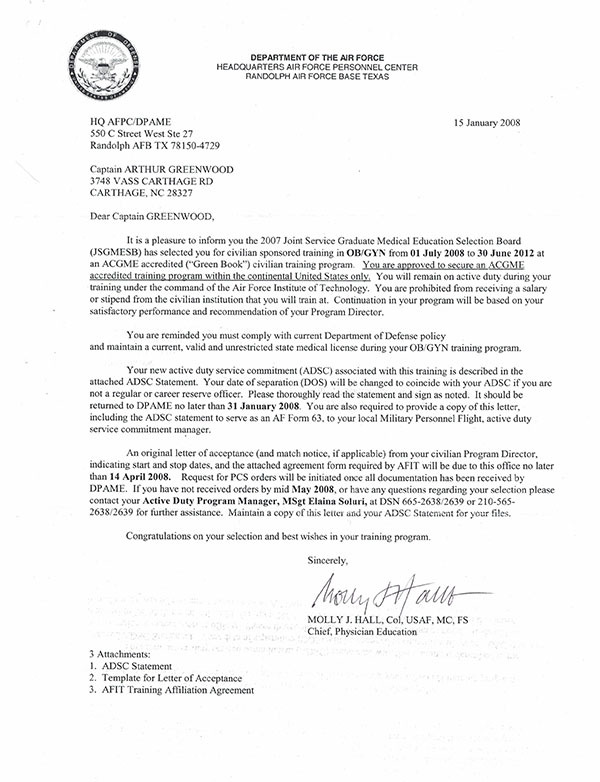 Here is an email from USAF Arthur John Greenwood to Physician Solutions on February 5, 2008 which shows an utter contempt for the USAF order forbidding moonlighting. Internal Revenue Service form 1099 for 2008 show that USAF Maj. Arthur John Greenwood earned $53,202.96 (fifty three thousand two hundred and two dollars and 96 cents) moonlighting illegally in 2008. Arthur breached the contract he signed with the USAF related to moonlighting during his residency, by signing a contract with a North Carolina Locus Tems company Physician Solutions.